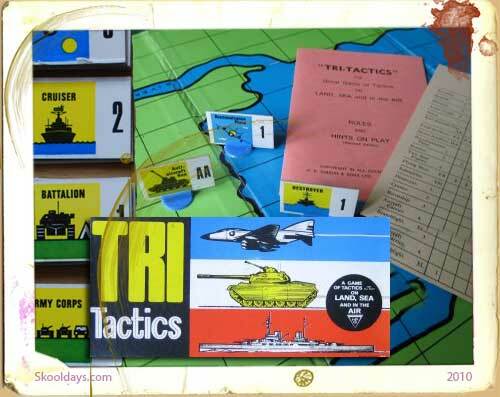 Before the avalanche of electronic games, moulded plastic games from MB (Milton Bradley) made up a large part of kids toys and games in the 70s and 80s. 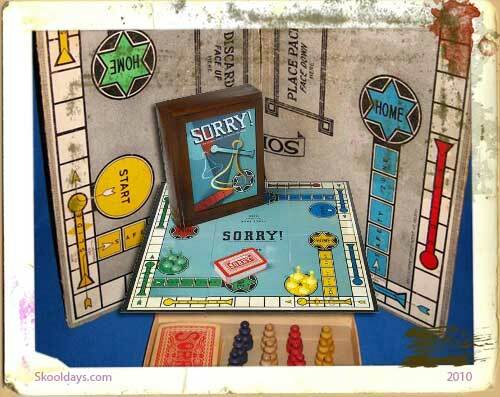 One of the popular games in the seventies was Stay Alive. 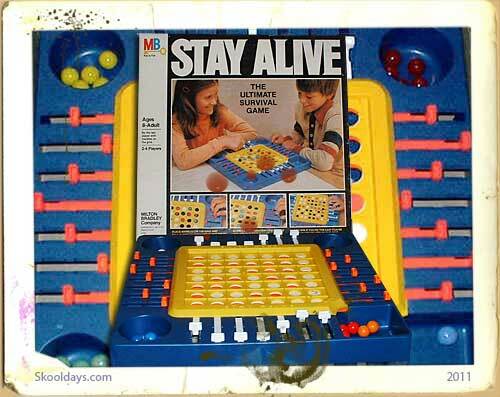 Stay Alive Milton Bradley Board Game was a game of hidden traps and survival. 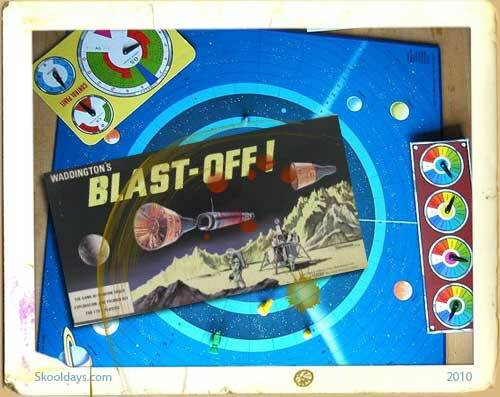 Yes kids were getting a dose of the real world at the age of 8 years old! Stay Alive was played by 2-4 players ages 8 to adult. 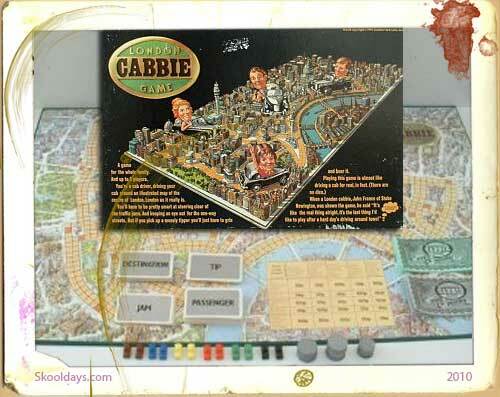 The board was made up of sliders that could move forward and backward over a 7 by 7 grid. Your men or colored marbles would sit on there chosen square from the start and with a sliding of the orange or white levers, your marble would either fall into the hole or would keep afloat and “Stay Alive”. 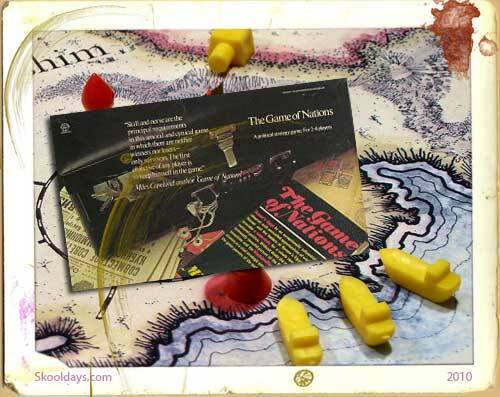 The games purpose was to stay alive while all your oppenents marbles had fallen into the pit. 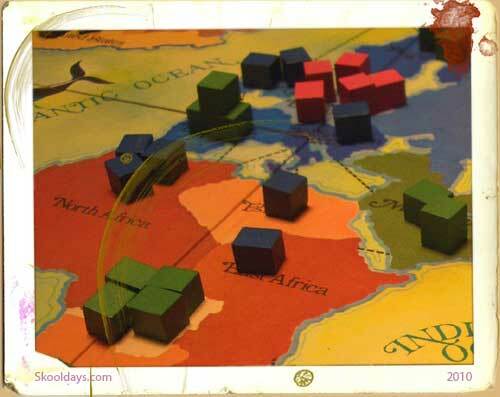 A very simple concept but a great game for strategists. After all marbles are placed the first player must move a slide one position only. He can move a slide either orange or white but it must only move either outside to centre or centre to inside or vice versa but never from inside position to outside position or vice versa as this would be two moves in one turn. you cant move the same slider after its just been used. The player with the last marble staying alive is the winner!